We’ll have the 2009 Calina Chardonnay Reserva, from the Casablanca Valley of Chile, as well as the 2009 L’Argentier Old Vine Cinsault (unoaked), from the Languedoc region of France, open for tasting, and discounted from 1pm-6pm! All domestic white wine will be 15% off when you buy at least 2-bottles of domestic white wine on January 25th! The new 2009 vintage of Revelry Vintners Merlot out of the Columbia Valley of Washington State, as well as the 2008 Angel’s Secret Zinfandel out of Lake County, California. When You Buy 2 Wednesday Sale on January 18th! All Imported Red Wine will be 15% Off on Wednesday, January 18th, when you buy 2-or more bottles of imported red wine! http://winedenver.net/wp-content/uploads/2017/04/Background.png 750 750 admin https://winedenver.net/wp-content/uploads/2017/04/Background-300x300.png admin2012-01-17 12:23:252018-01-29 18:17:39When You Buy 2 Wednesday Sale on January 18th! 2010 Danielle de L’Ansee Sauvignon Blanc, from the Loire Valley of France. 2009 Murphy-Goode Cabernet Sauvignon, from California. Check back soon to see our completely redesigned site! 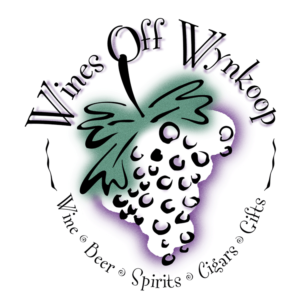 Be sure to join our email list on the homepage to receive exclusive online offers from Wines Off Wynkoop.